Samsung already has wireless charging options for phones like the Galaxy S4, but they require a separate cover that adds a slight amount of bulk. For Monster Watts, that’s still too much. 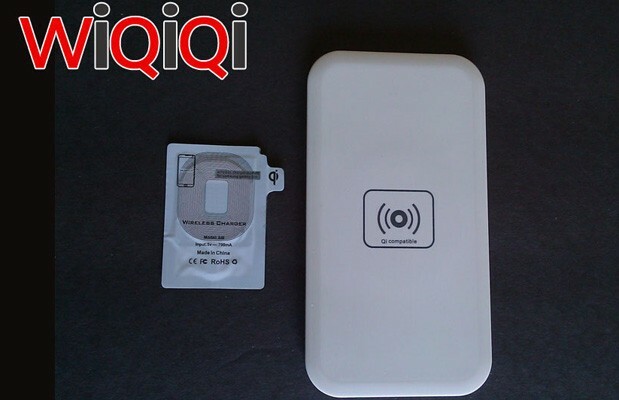 The company’s upcoming WiQiQi charging receiver is thin enough to slip under the existing cases of both the S4 as well as the Galaxy S III and Galaxy Note II, giving them the same Qi-based wireless power as official kits without disrupting the design or wrecking compatibility with accessories. Kits for the two phones already on the market should be available as soon as the middle of this month, with discounted early pricing for a receiver-and-charger bundle starting at $45 (normally $78) for the GS3; a WiQiQi for the GS4 won’t show until around early June at a regular $88 price, although it should also start at $45 for advance buyers. Monster Watts’ wire-free solution isn’t seamless, but it may be one of the more elegant in an era when wireless charging is only occasionally built-in. Galaxy S4 back cover hasn’t been shown, much less Available. these are the exact type that cause the Bulk. how can something that is integrated into a Back Cover be bulkier then Adding to a existing Cover. Stand cover has to be strong, Designed and manufactured to be built in will always be thinner. Esp when the Manufacture has the Money and Tech for such a Product.